Last night, March 7, a sold-out crowd showed up at the Sie FilmCenter on a snowy night in Denver to see the world premiere of Running the Edge: The Colorado Trail. The film documents Scott Jaime’s 2013 run on the 486-mile trail between Durango and Denver. Scott had run the full trail once before, in 2009, to commemorate his 40th birthday. That time, he went from Denver to Durango and finished the trip in 11 days and change. But the Colorado Trail got into his system, and he wanted to see how far he could push himself. For his second run, he shaved his time by more than three days and set a new fastest known time of 8 days, 7 hours, 40 minutes, and 17 seconds, beating Paul Pomeroy’s previous record by more than four hours. Scott originally conceived a film about his run as something “very private,” more like a personal keepsake than a public exhibition. Before the run, he approached Matt Trappe about the project. Matt is known primarily for his photography, including his stunning pictures from last year’s UROC 100k, which were full of pure, white snow and bright, golden aspen. This would be Matt’s first, longer film project, but Scott trusted him instinctively. They agreed on the story they would try to tell, and Matt supplied the artistic vision to bring it to life. The story of the film, Matt said as he introduced it to applause, centered around “a great family and a pretty epic run.” This makes Running the Edge different from last year’s major mountain running film, In the High Country, which was more of a poem about the relationship between a person (Anton Krupicka) and a place (the Rocky Mountains) than a story with a plot. Running the Edge bears a closer resemblance to JB Benna’s older film The Runner, which follows David Horton along the Pacific Crest Trail. But even though Matt said he has enjoyed plenty of recent running films, he wasn’t trying to emulate any one of them. He had his own vision for his first film, and he wanted to do his own thing. The film starts with two screens of information about the Colorado Trail, which was officially dedicated in 1988, and the history of its speed records, which started to be set almost as soon as the trail was completed. These help establish the scale of Scott’s achievement (especially for audiences outside of Colorado) and give some sense of the determination it takes to run so far so fast. One might well imagine that anyone crazy enough to tackle the Colorado Trail would be totally consumed by the task, and Scott admitted to spending about two years planning and preparing for his 2009 run. Yet the first part of the film, whose original title was ‘Achieving Balance,’ shows that Scott somehow manages to lead a fairly normal life. ‘Balance’ is one of the film’s keywords. As his father says, “He just balances.” We see this early on with scenes of Scott at work: he’s on the phone with a client, and the mugs on his desk are from his Hardrock finishes. Throughout the first half of the movie, images of Scott at work or with his family are interlaced with shots of him running alone on the trails. Interviews with friends and family show that he is part of a special community: his runs inspire them, and their loving support is what makes his runs possible. The film splits neatly into two halves. The first half covers Scott’s preparation for the Colorado Trail and his 2013 Hardrock run, where he finished in 26:38 for third place overall. That would be a major achievement for most people; for Scott, it was a training run. It gave him the confidence to feel fit and prepared for the Colorado Trail. The second half of the film follows the nine-day adventure of the FKT attempt itself. The film begins to build momentum here, with a series of screens breaking up the journey by each day’s jaw-dropping stats: miles covered, time on feet, elevation gained and lost. ‘Edge’ is the keyword of this second half of the film. It is probably not a coincidence that one of Scott’s favorite sections of the Colorado Trail is a place called the Cape of Good Hope, where the trail runs along a knife edge before dipping down into a verdant forest. (He described this area as “a place where hobbits live.”) Scott is definitely on the edge for several days in central Colorado. We see repeated shots of Pearl Izumi shoes trudging down the trail. Scott moves slowly and loses time; his devoted crew of friends and family seems concerned. Strong emotions start to crack the surface. On the fifth day, when Scott planned to run 60 miles but manages only 43, he feels the FKT slipping out of reach. But just as surely as the Colorado Trail moves from an exposed edge to a lush forest, Scott tests his outer limits and finds a place of greater confidence. “My body wasn’t breaking down,” he says, “it was starting to accept what I was doing.” He grits his teeth and determines to make up his lost time. The sixth day proves to be a turning point, and Scott shows emotion in interviews conducted after the run when he recalls realizing that he still had a good shot at the record. He still needs to run more than 100 miles in under 40 hours, but he no longer seems in danger of falling off the edge. 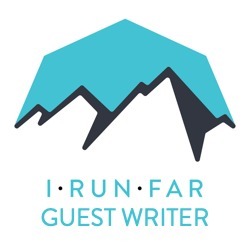 By the final miles, with the record in the bag, he jogs down the dirt road in Waterton Canyon in the company of the huge contingent of friends and family who have made his FKT dream a reality. Something like the Colorado Trail doesn’t change who you are, Scott explains, it just helps you focus on who you are and what’s really important in your life. The film’s storytelling and cinematography are, overall, solid. The movie successfully sets up Scott’s run by showing us how it fits into the rest of his life, and then it takes us through the ups and downs of a week on the trail. Though we know how the story will ultimately end, Matt’s storytelling still creates drama. And Matt’s cinematography captures the extremes of Scott’s trip: we run with him through the inspiring open spaces of the Colorado Trail, and we also feel the cramped confines of the RV that aided his journey. After the film was over, Matt and Scott walked to the front of the theater to answer questions. Most were directed at Scott: about his running, about Hardrock, and about his Colorado Trail journey. Everyone wanted to hear what it was like to go so far on so little rest. It helped, Scott said, that he felt he was in the best shape of his life for the run—not the fastest he had ever been, but stronger mentally and physically than he had ever been before. He also, somewhat miraculously, kept up a good appetite for most of the trip, downing three or four breakfast burritos every day. Even so, the journey left him depleted—“completely wrecked,” as he put it just after finishing. He revealed that he suffered from adrenal fatigue for about two months after the run, sleeping some 12 hours a day and still feeling exhausted. AJW’s Taproom devotional to Scott Jaime and his relationship with the Hardrock 100. Did you see Running the Edge last night or are you planning to attend one of the events organized in the next few months? What did you enjoy most about the film or to what do you look forward after reading this review? Have you seen Scott Jaime ‘running the edge’ before, at a race, during a long trail run, or hanging out with his family at a finish line? If so, share your Scott story! I thought this was a post on the 1980's epic film staring Bruce Dern. Any idea when this will be downloadable or available for purchase?